This infographic shows the range of factoring pricing differences that we identified during a recent mystery shopper price comparison. You can read the full details of the pricing research on our blog. 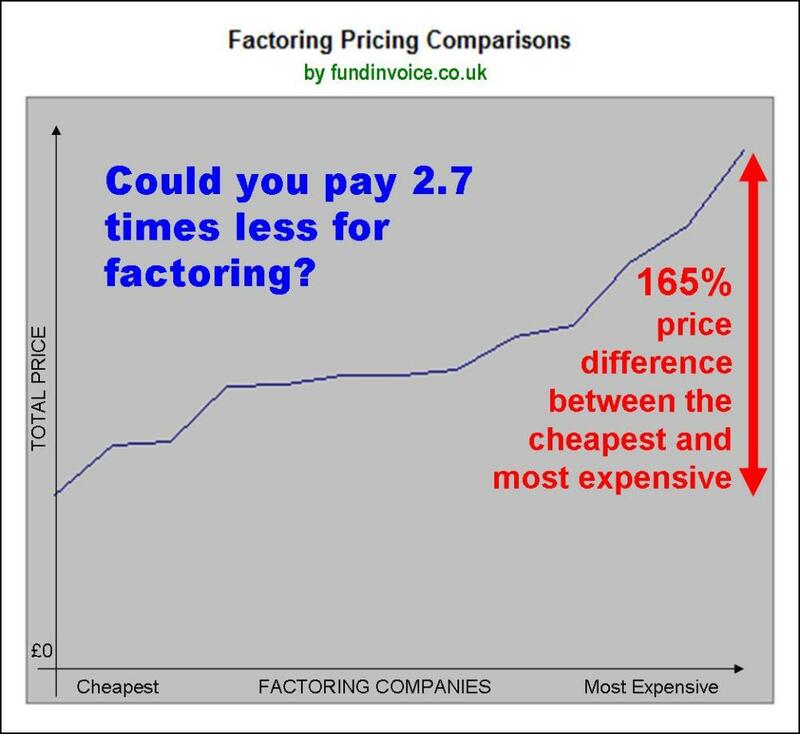 <a href="https://www.fundinvoice.co.uk/list_infographics/infographic-factoring-pricing-differences.html" ><img src="https://www.fundinvoice.co.uk/images/factoring-pricing-comparisons.jpg" alt="Factoring Pricing Comparisons" width="450" /></a><br /><a href="https://www.fundinvoice.co.uk/list_infographics/infographic-factoring-pricing-differences.html" >Factoring Pricing Comparisons</a> by <a href="https://www.fundinvoice.co.uk/" >FundInvoice</a>. You can read about how factoring works on this website. We also have an extensive archive of invoice finance market research. If you need help please request a call back or call Sean on 03330 113622.